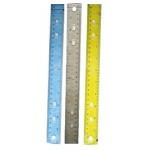 Wholesale School Rulers & more. Wholesale school math tools are sold by the case at reasonable prices. 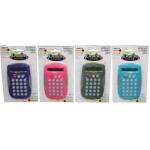 Who doesn't need a calculator these days, purchase our wholesale school supplies with confidence and save. Wholesale school 12 inch translucent plastic rulers, good for all back to school and office supply n.. Protect one of your math tools. Great way to keep protractor safe in your backpack.Case of 144..
Westcott School Products are designed with the student in mind. All our products are created to be b..
Calculator with Rubber Grips.Case of 48..
LeWORLD Dual Power Calculator and comes in assorted colors.Case of 96..
LeWorld Power Calculator $0.94 Each. 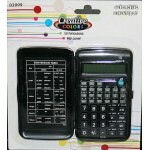 Brand: LeWORLD8 Digit DisplayAuto Power offMemory FunctionsLarge ScreenCase of 96..
Great for high school supply kits. Comes with cover 56 functionsCase of 48..